The Gas Alert Micro Clip XL provides affordable protection from atmospheric hazards. Its slim and compact design makes it easy to wear, allowing workers to focus on the job at hand without feeling weighed down. With easy one-button operation, workers make fewer operational errors and training time is reduced. 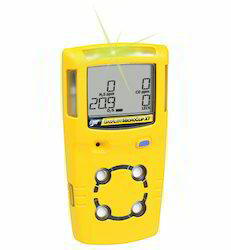 The Gas Alert MicroClip XL uses and easy-to-navigate interface common to previous generation gas monitors from BW technologies. 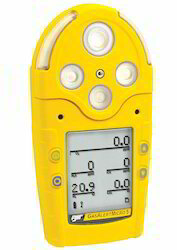 This multi-gas monitor provides continuous visual confirmation of detector operation and compliance with the IntelliFlash™ feature. The GasAlertMicroClip XT is fully compatible with BW Technologies by Honeywell MicroDock II automatic test and calibration system. 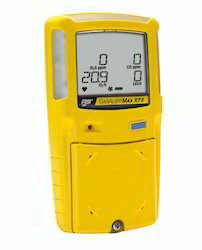 Gas Alert Max XT II is the smart, simple, economical way to compliance. Workers feel safe and incidents are minimized so everyone will be able to do more. That means savings realized from business continuity and productivity. Simple operation, with Smart Sample pump. Gas Alert Max XT II reliably monitors up to four hazards and combines straightforward one-button operation with our robust, motorized pump for intelligent, remote sampling, ideal for confined spaces. The Gas Alert Max XT II is fully compatible with Micro Dock II automated test and calibration system. Looking for Honeywell Multi Gas Detectors ?